I read a great blog this week by author Janette Rallison called “Ten Things Published Authors Won’t Tell You”, which you can find here. I loved this blog because I found myself smiling and nodding at every point she made. There are five points I want to add because I often come across new authors who don’t understand the business side of writing. And let’s be clear, the minute you publish your first book, whether traditionally or self-published, you are now in business. To give your business a chance at succeeding, you’ll need to market and promote the book with as much energy, integrity, and resourcefulness as you can muster. I appreciate that many of us are introverts and that forcing us to market our work may feel like entering a marriage you’re not quite sure about. But you’re in it now, and you either work at it or walk away. · Some of your marketing efforts will take a mountain of effort for very little return. You have to decide if the exposure and simply networking to get your name out there is worth the effort. You may spend hours arranging book signings, commuting, and then sitting in the stores for two to four hours at a time. The return on investment (number of books you sell) may not cover the price of gas. You may well spend 20 hours or more preparing the best talk of your life but it won’t necessarily translate into sales either, which leads to my second point. · Many authors sell only one or two books at events. It’s happened to me more than once, in good traffic areas and at well promoted events. The number of books sold at signings, conferences, and elsewhere is a crapshoot, unless you’re already famous or notorious or astonishingly attractive. Yes, we live in a shallow society. · If traditionally published, you will likely be arranging 99% of your own promotion and if it involves travel, you will also likely be paying for that too. · If you write a series and you’re not yet famous or garnering dozens of great reviews in well-known publications, your second, third, and forth books will probably not sell as well as your first. Mystery fans especially like to start at the beginning of a series. Even if they really liked the first book, as has been said to me, they won't necessarily spend money on subsequent books when there are so many authors to try. · There will be setbacks, deep disappointment over meager royalties, and probable re-evaluation about your entire writing career. If you’re really lucky, growth and change will come from it. Embrace this. Writing is a journey, and as Rallison mentions in her tenth point, despite the downside, we love writing anyway. My favorite critique partner, the amazing Sara Marian, and I love to play games involving our characters. One of them is the old favorite, If Your Character Were A... He/She Would Be...," often played with politicians, but we play with our characters. If Moder Zglaria were a car, she would be a vintage Volvo. She's large, she's solid, she's nothing but what she is, she's instantly recognizable, and she's just about indestructible. If Bud Blossom were a bird, he would be a rooster. He's cocky, combative, territorial, rude, pushy, and protective of anything he claims. If Mitch Franklin were a tree, he would be an oak. He's young, but sturdy inside and out; he wants to be useful, comforting, and sheltering; you know he's going to grow up strong and dominating his landscape. It's a fun game, especially if you play with somebody else and try to peg each other's characters. If you play with your own characters, it's a great way to force yourself to think deeply about the character, especially if you get fancy and say, "He would be this, but he thinks he's this." Or, "His husband thinks she's this, her church friends think she's this, she tries to be this, but she's afraid she's this." It's worth taking some time to do, especially if a character has you baffled. As someone who reads and reviews a lot of indie novels, I’m happy to say that the quality of ebooks is starting to improve. It’s possible that part of this is due to Amazon’s crackdown on those who’ve published books filled with spelling, grammatical, and formatting problems. Amazon’s warning letters to clean up the mess or have their books pulled is paying off, which is good news. Authors should show the same care and attention to producing ebooks as they would if submitting to a traditional publisher! If you’re an author who has little time for production, experienced, reputable companies will do it for you. There are also plenty of scammers, so do your research! Recently, Amazon changed the rules to now insist that authors place their table of contents at the front of ebooks, for good reason. As stated in Nicholas C. Rossis’s blog, scammers been making millions off of KDP’s Select Program, specifically Kindle Unlimited, where subscribers can borrow an ebook. In a nutshell, authors are paid for every page read. This has inspired scammers to create a click-bait-link page at the front of their books which immediately takes readers to the back and therefore pays the author for all of the pages in the book, even though those pages haven’t been read. And why would they? Rossis states that those pages are often filled with junk, multiple translations, or even unrelated content. Amazon’s attempts to stop this are proving successful, but we’ll see what happens in the future. One thing about cheaters, their resourcefulness is astonishingly good. To that end, I came across another helpful blog from Digital Book World offering great tips about formatting your ebook. The blog discusses ragged vs. justified text, hyphens, em dashes, and of course, the table of contents issue. Since I plan to do more self-publishing in the future, I’ve bookmarked that link. Things have changed so much from the days when I self-published Taxed to Death and Fatal Encryption. One of the best aspects about this is the bounty of useful resources to help writers produce a quality product in this hi-tech age. One note about quality of writing in indie ebooks…I’m starting to see a big improvement there as well. Many months ago I read blogs from experienced, savvy authors who stated that those writers more interested in making money than writing would fall by the wayside; that the serious writers would start releasing quality content regularly. This trend has started and I’m delighted to see it. 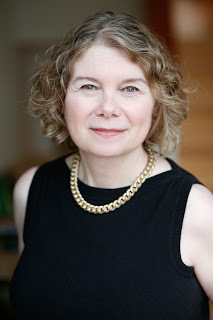 I’m very happy to introduce Vancouver author Katherine Prairie, who’s intriguing background offers plenty of material to incorporate into her fiction. Katherine, a geologist and IT specialist, stepped away from the international petroleum industry to follow her passion for writing. An avid traveller with an insatiable curiosity, you never know where you’ll find her next! But most days, she’s in Vancouver, Canada quietly plotting murder and mayhem under the watchful eye of a cat. She is an award-winning presenter and the author of the thriller THIRST. I posed some questions for Katherine which she kindly answered. Enjoy! I’m a geologist and I spent much of my career in the international petroleum industry, but I also worked for a mining company one summer. For four months, I lived in a tent, hiked mountains and rode helicopters to/from work sites in the Canadian north. It was an experience like no other and through geologist Alex Graham, I try to share it with readers. If you’re writing a series, what are the pros and cons? If you’ve written a stand-alone what are the pros and cons? I didn’t set out to write a series but I came to really like Alex Graham and she fit well into other stories I had in mind. With a series, it’s much easier to deliver a rich personality because I have room to develop Alex over several novels. But it also means that I have to pace her journey carefully because I want readers to get to know her a little better in each story. And I always have to remember that every action she takes affects future novels! What is the most satisfying character and/or story line you’ve ever written? You might think that it’s Alex, but it’s my ER doctor, Eric Keenan. THIRST required a key medical scene that I struggled with for many weeks, but when it finally came together I was thrilled with the results. It wasn’t just the scene itself, but Eric’s character as well, and I found myself expanding the role of this very complex doctor and adding more medical scenes. Name your top three how-to writing books, and/or the best novels you’ve ever read. The Emotion Thesaurus by Angela Ackerman and Becca Puglisi is my go-to reference when I’m trying to convey emotion through character movement or expression. I also like The Fire in Fiction by Donald Maass because it goes beyond the nuts-and-bolts of writing to deliver solid practical advice on how to develop compelling scenes. And when I need to review the basics, it’s Sin and Syntax by Constance Hale. 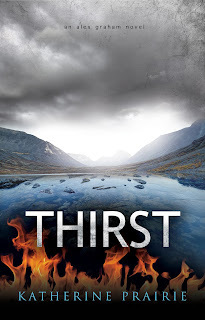 “THIRST leads the reader down a literary mineshaft where oxygen is running low and time short. 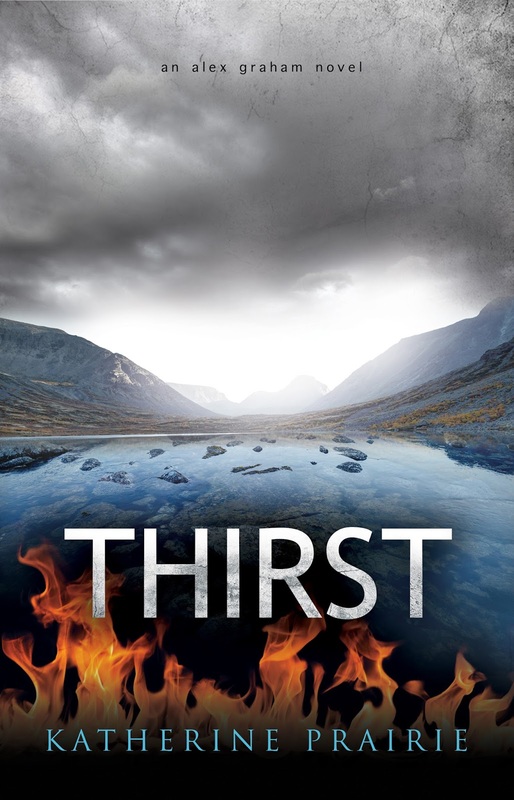 Flavoured with insider expertise and a nature storyteller’s flair, THIRST is a gripping and fun ride.” Daniel Kalla, bestselling author of NIGHTFALL OVER SHANGHAI. Given the number of traditionally published authors who have opted for self-publishing over recent years, I want to mention a couple of great articles I can across this week. The first is by Skyla Dawn Cameron who addresses the importance of obtaining a Rights of Reversion letter for those who want to be released from their publisher’s contract. As you can imagine, there are do’s and don’ts to consider and her blog contains good information, especially if you plan to reissue your books. She also offers a link to tips about how to go about reissuing your backlist, once you’ve got that RoR letter. Speaking of reissuing, an interesting blog by Diana Urban discusses how to relaunch a series. She interviews author Colleen Gleason who obtained the rights to her Vampire Hunter series from her publisher. Gleason reveals how she breathed new life into her books through self-publishing, and describes the promotion strategies she used to make that happen. It’s really quite helpful and certainly doable. Back when I planned to self-publish my two Alex Bellamy mysteries, the prospect of self-publishing seemed daunting because there were so many tasks involved in production process. Happily, access to information and assistance is far more readily available than it was twenty years ago. So are distribution and promotion opportunities, and thank heaven for the technology that keeps me from having to learn a whole new complex, software program to produce a book. I see more self-publishing in my future, although I don’t a date set in mind. Honestly, I think it will be a hugely exciting venture, but to do it the way I want, I’ll need to write a few more books and build a large catalog of review and blogging possibilities. I’ve started, but I have a long way to go.